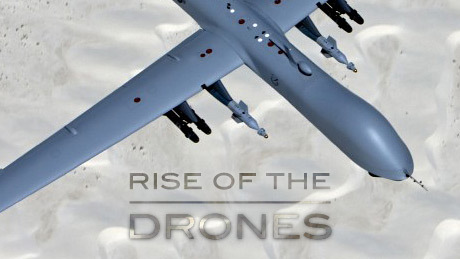 Is Rise of Civilian Drones Accelerating? Many would not expect a prediction of aviation’s future on The Daily Show with Jon Stewart, but there it was on January 23. The guest, Missy Cummings, one of the Navy’s first female F-18 drivers and now an association professor of aeronautics and astronautics at MIT, said within five or 10 years that FedEx and UPS would be carrying packages with unmanned aerial vehicles. Watching the extended Cummings interview online, she supported this possibility with the accurate observations that airliners flying today are UAVs whose pilots push buttons and program the flight management system from the cockpit rather than some strip-mall cubicle. And this plays right into a previous post about the FAA SAFO urging pilots to get hands-on with more than buttons and switches. Always a well-prepared interviewer, Stewart focused on the military mission of UAV because that is their most visible mission. Cummings countered with civilian and humanitarian missions. One she is working on for the Navy is a rescue helicopter that those in need can summon to their remote location with a smart phone. Stewart was understandably skeptical, until Cummings told him about the Navy’s Cargo Resupply Unmanned Aerial System. Shown above, the K-Max helo has delivered cargo to remotest Afghanistan by the millions of tons. Earning a math degree at the U.S. Naval Academy, a master’s in space systems engineering from the Naval Postgraduate School, and a doctorate in systems engineering from the University of Virginia, Cummings is the director of MIT’s Humans and Automation Lab. Followed by related subjects, her primary research focuses on human interaction with autonomous vehicle systems, which is why she was promoting NOVA’s latest show, Rise of the Drones. In presenting the state of UAV art, the program focused on the military, which historically has been the source of most aeronautical innovations. The most startling comment was, perhaps, the most subtle. In assessing the technology that makes it work, an expert in the field compared today’s UAV’s to biplanes after World War I. Aviation made tremendous advances during the interstitial peace before it made another exponential leap during the next conflict. Now, look at UAVs in the accelerated digital world where conflict has been a decade-long constant. Periodic pilot shortages are a topic that seem immortal, even though the last real shortage happened after December 7, 1941. But maybe those predicting tomorrow’s shortage are half right. There may well be a shortage of qualified pilots…for UAV. (Tell me you didn’t see that coming!). Again, NOVA supported this idea by reporting that the US Air Force now trains more pilots for UAVs than it does for manned aircraft. More telling is that within 10 years the Air Force fully expects UAVs to comprise more than a third of their fleets of bombers and strike-fighter fleets. Another Pilot Shortage — Really? This entry was posted on Monday, January 28th, 2013 at 12:30 am	and is filed under Aerospace, Airlines, FAA, General, Military. You can follow any responses to this entry through the RSS 2.0 feed. Both comments and pings are currently closed. Yeah, I want local yokels operating UAV’s in my airspace. Think about the glider incedent in Hartsville SC. Scary. Even more scary are people who get their information from the Daily Show. I agree completely with you R Klein. It can become the very unfriendly skies with UAV’s flying around in the same airspace as Piloted aircraft. Makes me uncomfortable. We can’t even protect our computer systems! Do we really want something large and full of fuel flying over our cities operated by remote control. The bad guys will figure out a way. 1. The bad guys have already figured it out. Look no further than the intact military drone “captured” by Iran. 2. I wonder what happens to the motivating factor of mortality when the main stakeholder in the operation is no longer seated in the pointy-end. Good to be retired. Guess forty-three years was just enough. Taking control of a remote “toy” is easy for a hacker. It can safely be shot down if the problem is recognized early or it may be “interesting” for the people on the ground and the pilots around. I wonder how passengers will feel knowing drones are flying around with cargo while they share the same airspace and may be using the same runway, possibly at the same time. Drones in U.S. airspace would be suicide; certainly possible but not probable if clear headed thinkers prevail. U.S. airspace is way too busy to allow drones ever. The addition of drones to U.S. airspace would be an invitation for rogue drones to join in. Who could tell the difference with any level of built in sophistication in a rogue? This would force millions to purchase assault weapons with multi hundred clip ammunition magazines to shoot down any rogue drones straffing their property. So it sounds like complete craziness to suggest drones in U.S. airspace; to say nothing of the invasion of privacy. Only with a search warrant will law enforcement be allowed to use drones. It is the only way to insure privacy and domestic tranquility. Some incredible craziness is coming unless more than a little common sense is exercised here. What I find most interesting about these comments is how much they are like those made by people who lived through aviation’s infancy. After World War I, and before Lindbergh crossed the Atlantic, history shows that most people dismissed air travel, saying, in effect, why would anyone want to fly across the nation in some fool airplane when the train was a more reliable and safer way to travel. UAV tech today, like the biplanes flying after World War I, is in its infancy. Then as now, there were challenges for engineers to overcome. Remember how quickly aviation technology–and air travel–advanced between Lindbergh’s flight and the start of World War II. UAV tech will likely advance at the same pace, if not faster given the exponential rate of advancement in computers, which are the heart and soul of unmanned aircraft. Scott S. is in a way right but he may not work in the health care industry. We are forced (mandated is the politically correct word) to use computers to “protect” patients. I will not get into details but I can personally link a few deaths to the use of computers. An order must be entered, then activated in the right unit, by the proper person…. and eventually somebody will look at a patient…too late. This is real! Maybe when computers serve us and not the other way around things will improve, and drones will carry people. I believe in auto pilot strongly and I do not pretend to fly better than most A/P but I am sure my decisions are often better than many computers. In the future Scott will be right, no doubt, maybe 20 or 30 years, yes. Sorry you are not getting it. People’s privacy and domestic tranquility are constitutionally guaranteed. The over riding thing drones and UAVs would do is violate these fundamental rights; to say nothing of how busy U.S. Airspace is and just can not tolerate unmanned aerial vehicles safely. Even if some day they are deemed safe, privacy and domestic tranquility will greatly over ride UAV and drone commerce. You can bet the law will be codified that way to protect these basic constitutional rights. You only need to examine and airmen’s aeronautical sectional chart to see what a mess the skies are. And you want to add drones or UAVs? I would say you are nuts. And I say this as an absolute believer in and proponent of new technology; just not in this instance and not in the described ways. The potential dangers are numerous and extremely serious. Roll on the day — a drone will probably have more processing power and be more reliable than my present newspaper delivery boy/girl/ throw it in the puddle retard.